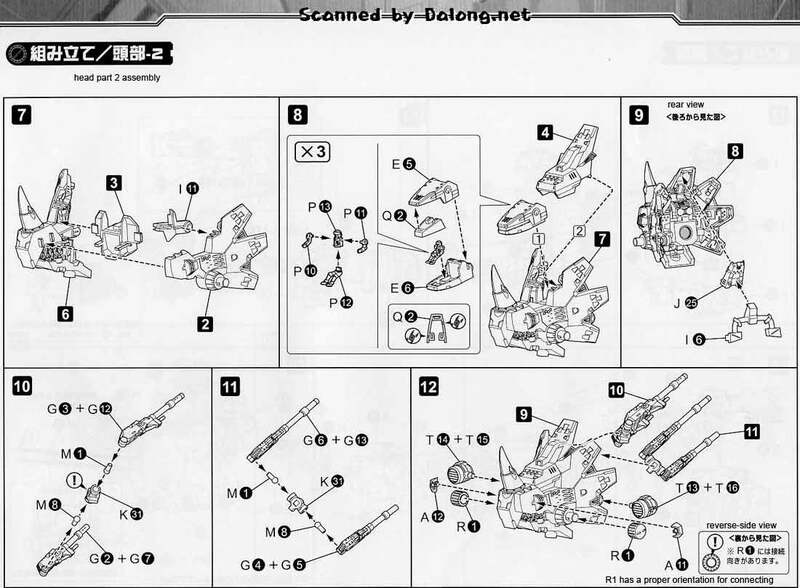 Dark Horn from Zoids made into a 1/72 HMM model kit by Kotobukiya which was released September of 2010. 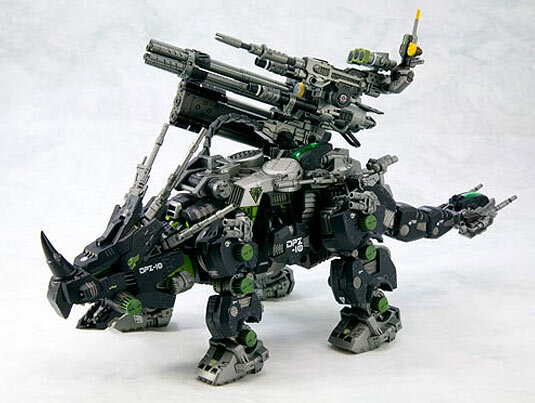 I just realized that I'm naturally inclined to Zoids because of two things it has in it that tickles my fancy: mecha and dinosaurs. 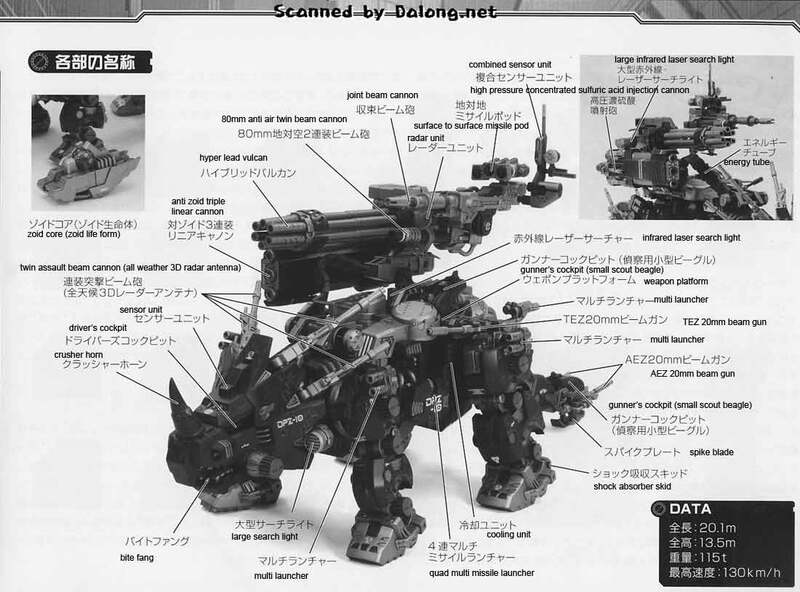 Judging from the design of the Dark Horn, I'm assuming that its design was based on a Monoclonius. 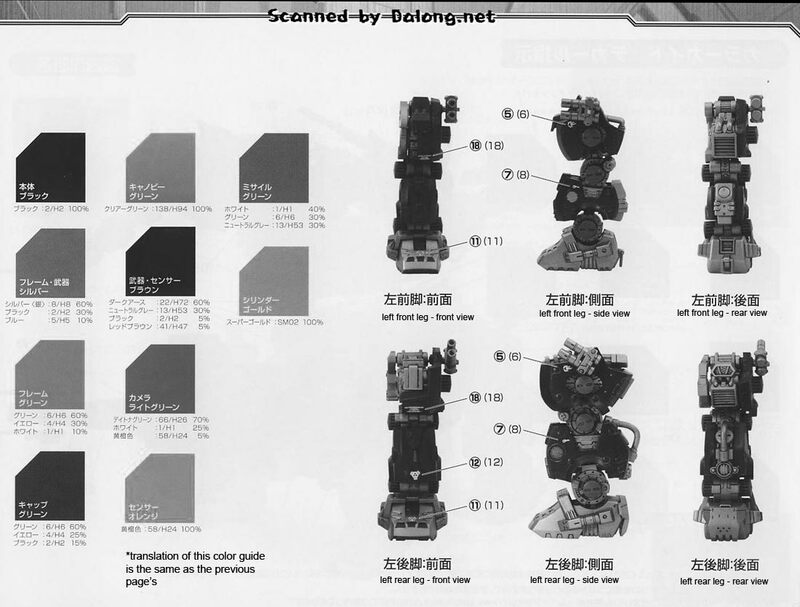 Compared to the earlier released Red Horn, the Dark Horn is more heavily armed, packing a plethora or guns, cannons and missiles all over its body. 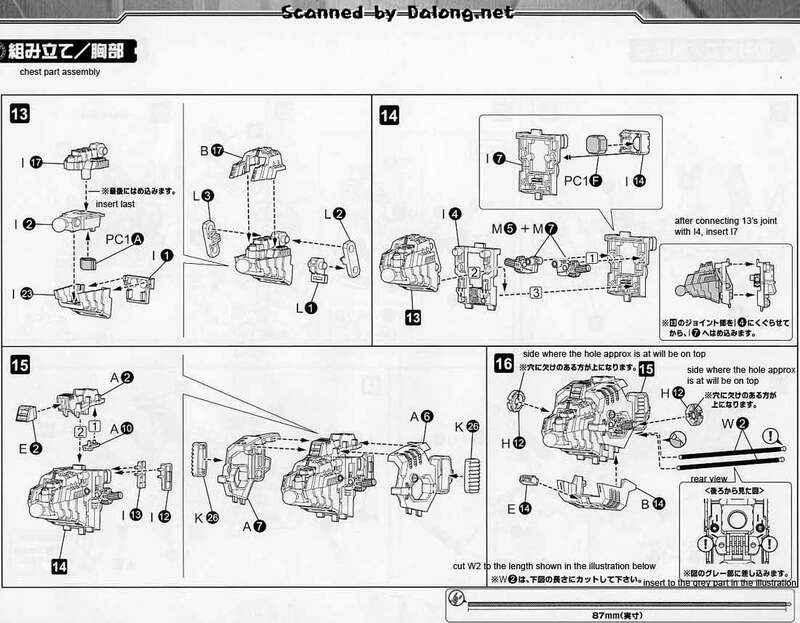 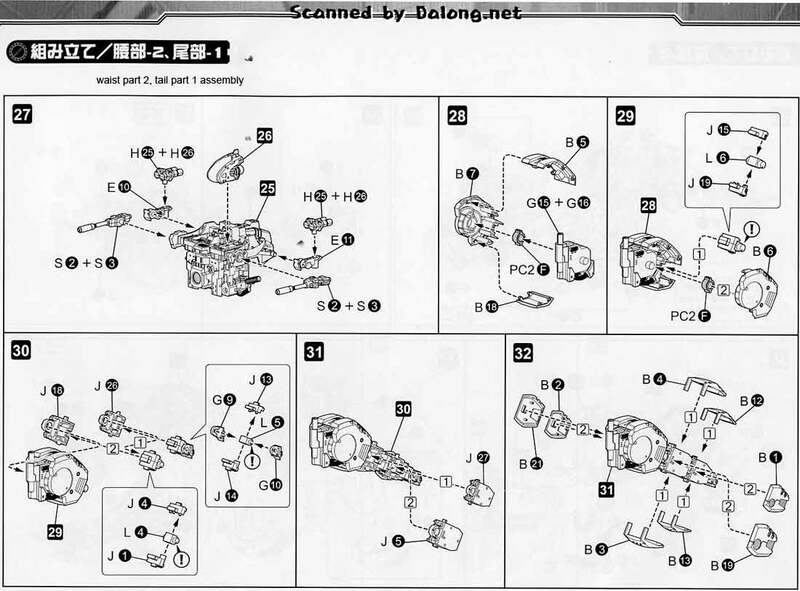 Color Guide & Manual for the Kotobukiya 1/72 HMM DPZ-10 Dark Horn from Zoids was translated to English from the Japanese manual posted at Dalong's Gunpla & Model Kit review site. 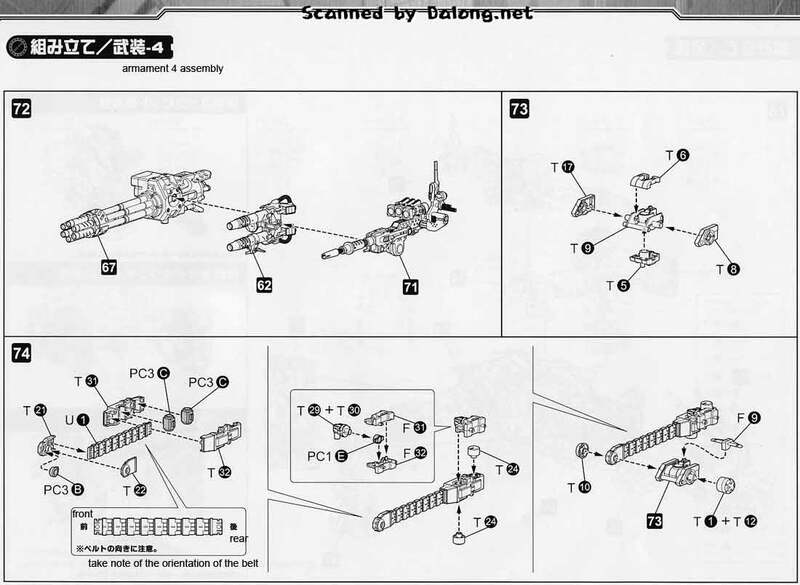 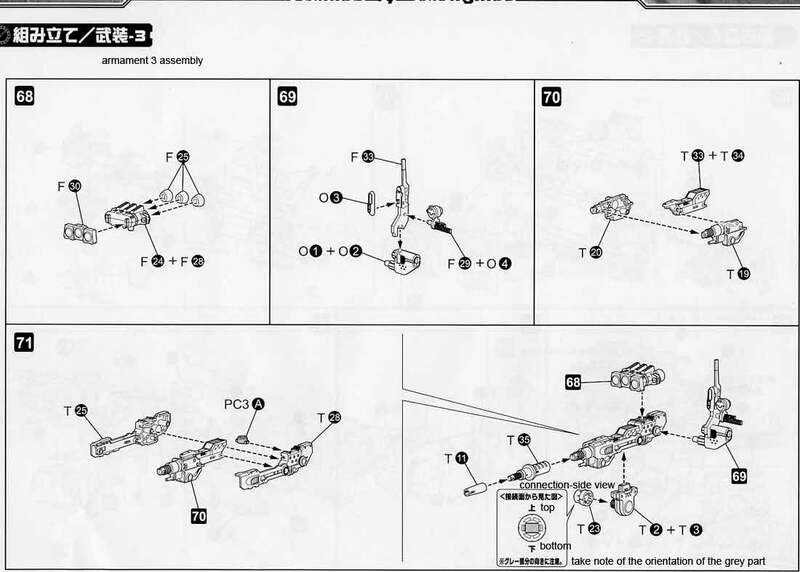 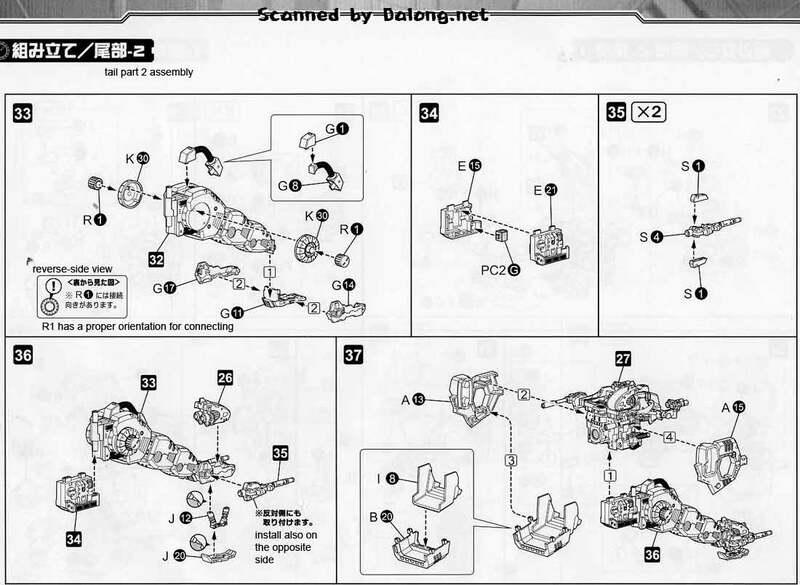 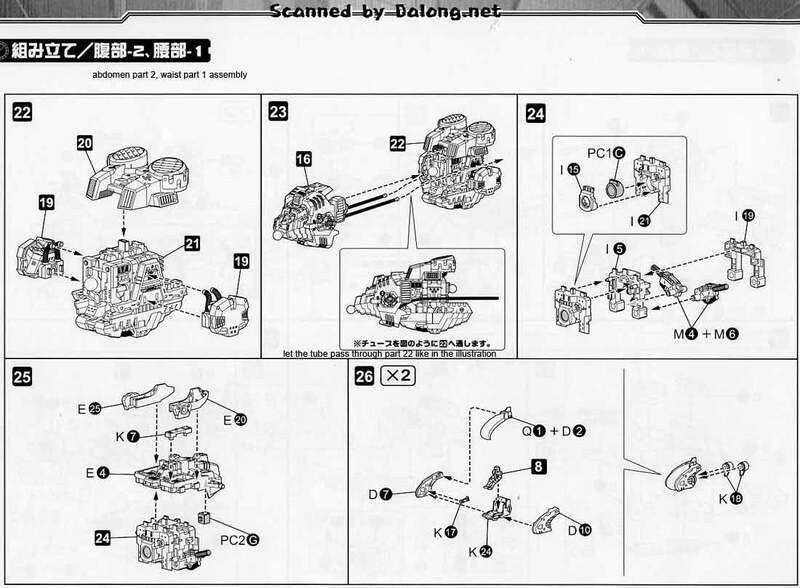 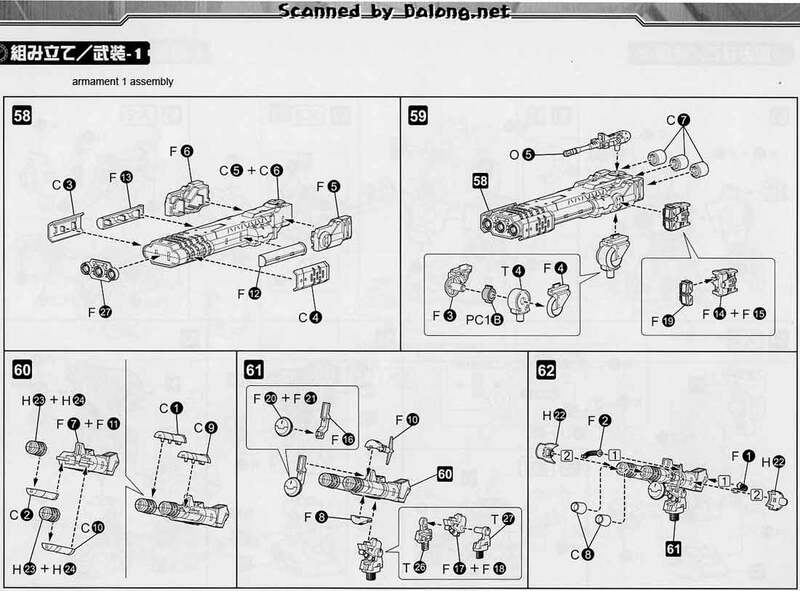 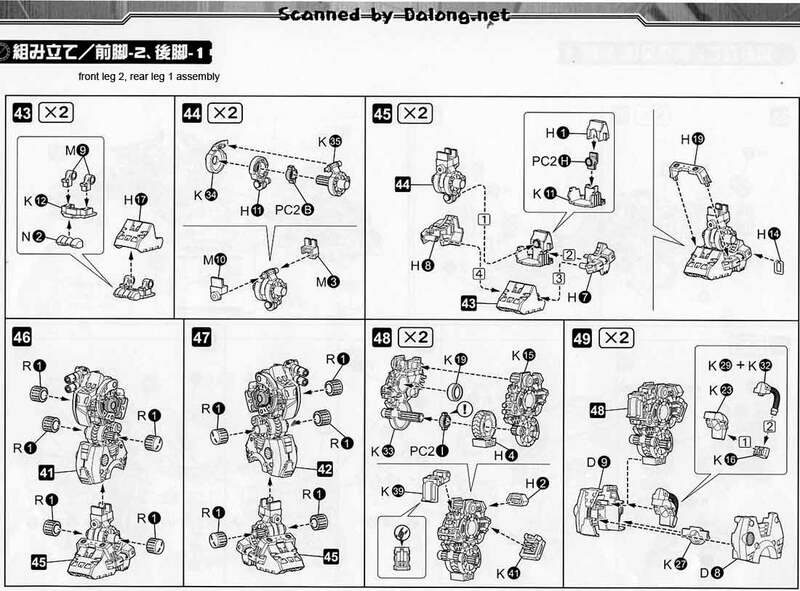 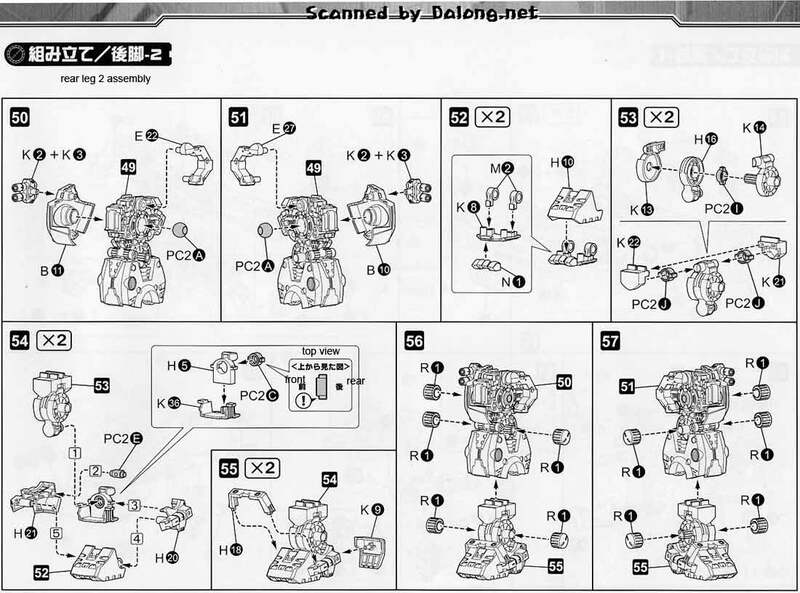 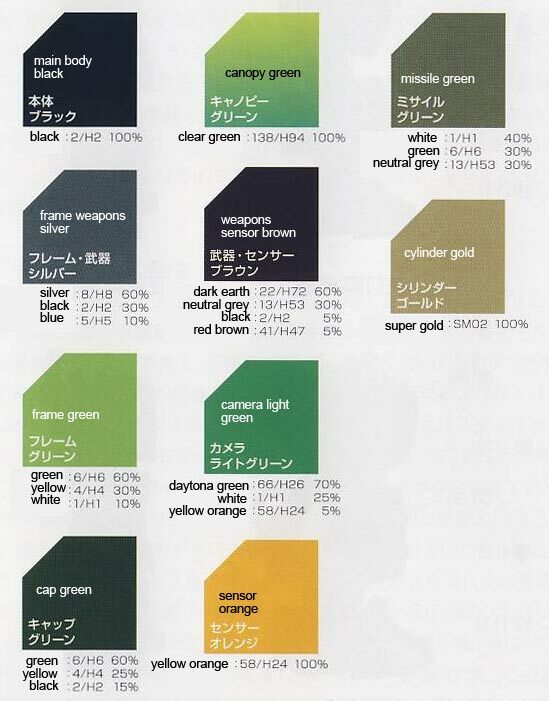 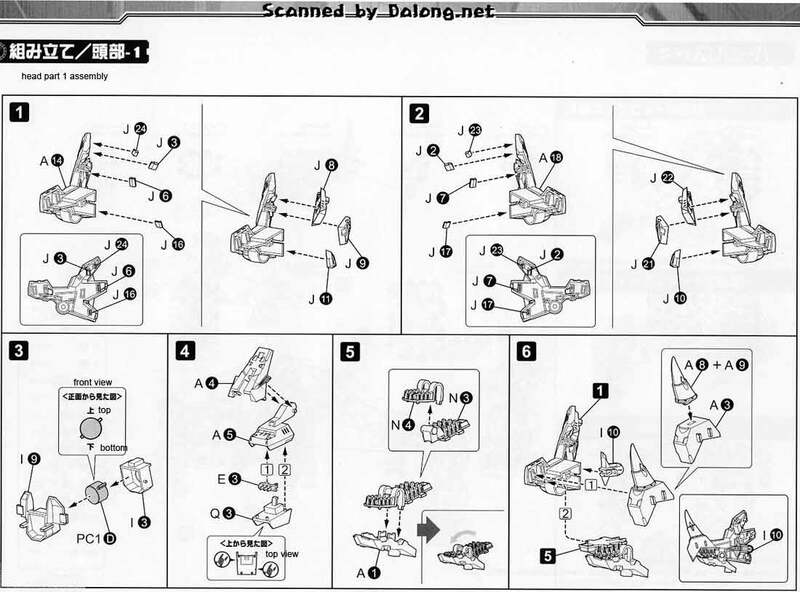 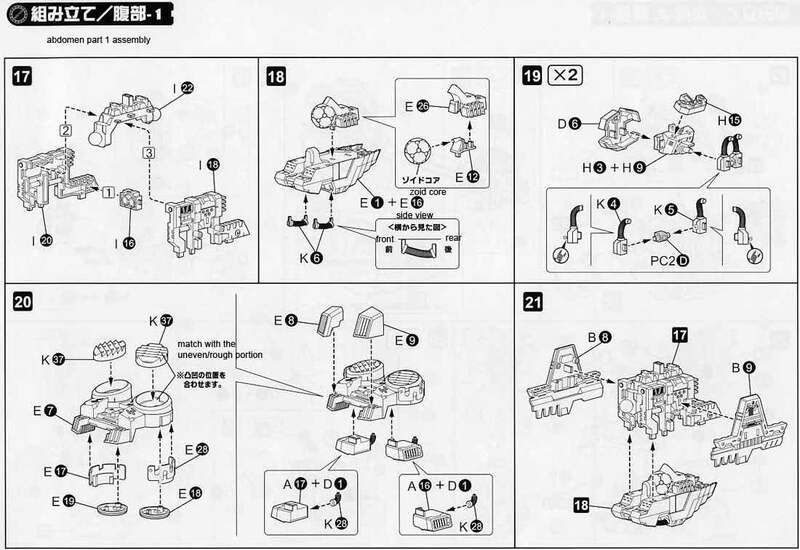 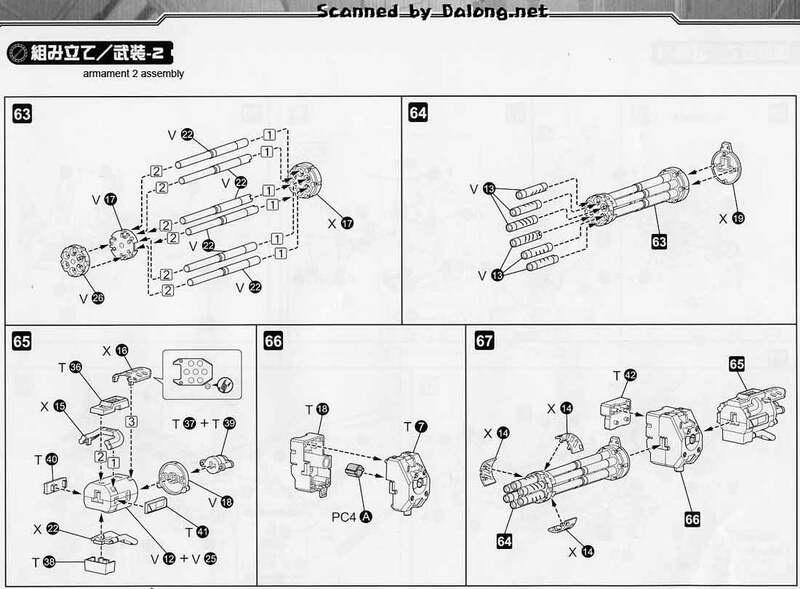 For the meaning of the symbols found in the model kits manual, kindly refer to this older post.